The Himalayan region is not only threatened by rapid changes in anthropogenic activities but also by global climate change. Given the uncertainties of magnitude and characteristics of climate change, prior knowledge of long-term changing distribution pattern of forests is of crucial importance. Owing to the heterogeneity of the Himalayan mountain system, knowledge on potential impacts on forests makes it a paramount concern in this region. Therefore, to understand vulnerability as a prerequisite for forest management, we systematically review and synthesize peer-reviewed literature on climate change impacts of the Himalayan forests (n = 118). Of the reviewed articles, 91.5% were published after 2009. Our findings emphasize that due to a wide variety of disciplinary domains, the conceptual, methodological, and subsequent findings (observed and predicted) vary greatly given the complexity of the theme of the review. Most assessments addressing climate change vulnerability of forests and forest-dependent people fail to acknowledge the importance of scalar and temporal aspects of vulnerability. 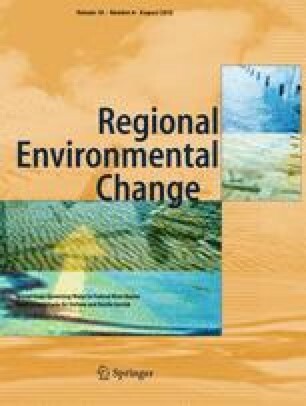 In addition, despite the brevity of the phenomena, much lesser is known about adaptation potentials, planning and policy initiatives, and coordinated multi-disciplinary decision making for managing forest resources and dependent livelihood options under different climate change scenarios. This insufficiency of knowledge requires identification of more prioritized focused research efforts. Given the substantial debate surrounding research management and policy-making, we highlight the urgent need to deal with ecological and societal implications of climate change impacts on the Himalayan forests. The online version of this article ( https://doi.org/10.1007/s10113-018-1309-7) contains supplementary material, which is available to authorized users. AC would like to acknowledge HSBC Climate Scholarship of TERI University for funding her doctoral research and the support from DAAD-framework project titled, “Land use related biodiversity in India” and the infrastructural support at the University of Freiburg, Germany. PKJ and KS would like to acknowledge the Ministry of Environment, Forests and Climate Change (MoEF&CC), Government of India (GoI) for their support (Project Serial Number: R&D/NNRMS/2/2013-14). PKJ is also thankful to the Department of Science and Technology—Promotion of University Research and Scientific Excellence (DST-PURSE) for the support. SS is acknowledging the fruitful discussions with his colleagues of the Task Force “Forest Adaptation and Restoration Under Global Change” at the International Union of Forestry Research Organizations (IUFRO), Vienna, Austria. Authors are highly thankful to the anonymous reviewers and the editorial board for providing valuable suggestions and comments on the previous versions of the present manuscript.